You know, if you'd told me five years ago that video games would see a sudden influx of digital card games, I wouldn't have believed you. But then we got Hearthstone, Elder Scrolls: Legends, Gwent… and this week alone we've seen both Valve and Gearbox announce projects with a collectible card game flavor. 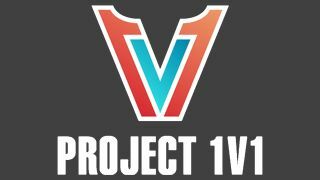 Project 1v1 is the working title for Gearbox's next game, and according to the official site, it's a "competitive first-person shooter that combines the action of fast-paced 1v1 first-person combat with the metagame strategy of a collectible card game". There's not much else to go on other than some vaguely sci-fi imagery, but if that description lights a fire inside you, why not sign up for the closed technical test going down this summer?